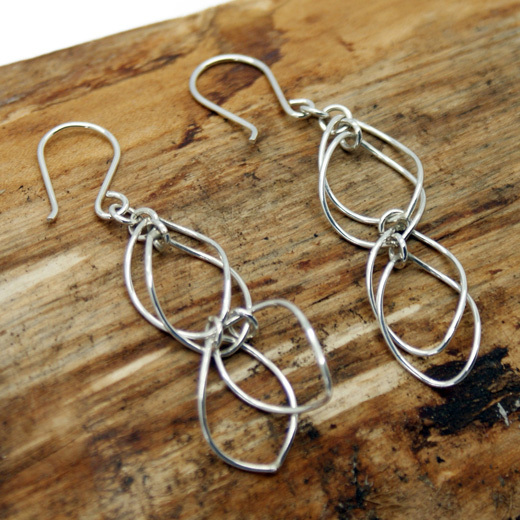 An intricate pair of intertwined oval earrings from TEGO. 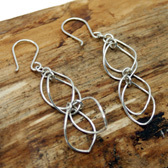 These handcrafted light and delicate oval wired sterling silver earrings have hook fixings. 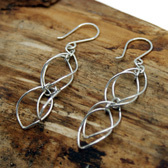 They are made entirely from 925 sterling silver, with four ovals are intertwined and linked together by an 'O' ring. 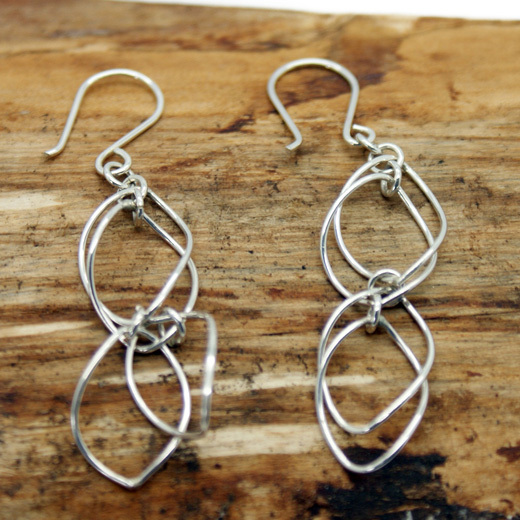 The beautiful earrings would brighten up any outfit day or night. 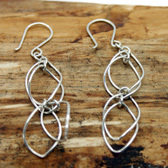 This pair of earrings has a matching necklace here.